Have you seen this video featuring Stephen Hawking and Paul Rudd? If not, you should watch it. I don’t know anything about quantum physics but the chess wasn’t ridiculous. Quantum Chess was originally created by Alice Wismath from Queens Univesity, Belfast but the version they play in the video is different. According to the Nerdist, a kickstarter campaign will start in February. 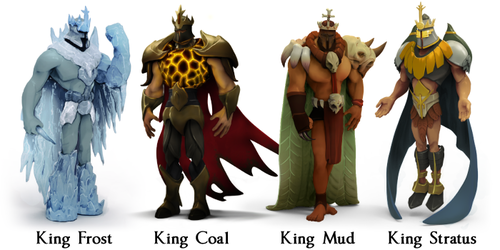 The 4 Kings have different abilities. For Christmas, we got a chess variant game called Kingdown which has pieces as well as cards. It was interesting to play but Gawain being very good at chess easily beat me. We also found some of the rules confusing, maybe it would be better if you don’t know how to play chess. The pieces are small so sometimes it’s hard to correspond which piece is which. We only played 2 player but I think it would be fun playing with more people.